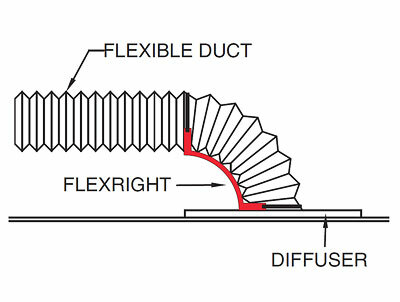 Attach flexible duct to air device per flexible duct manufacturer's installation instructions. 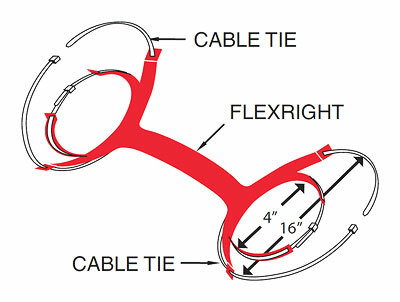 Fasten cable tie tight around neck of air device to secure FlexRight. For best results, keep duct insulation out from under cable tie as tightened. Fasten second cable tie around flexible duct. 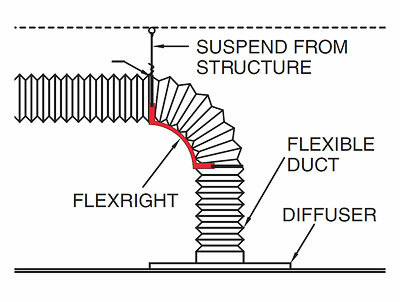 Do not over-tighten, as to crush flexible duct. Cut-off and discard excess from both cable tie ends.